Bitcoin (BTC) jumped to seven-month highs against Turkey’s national currency, the lira (TRY), on Monday. The price spike comes after the U.S. imposed sanctions against Turkey on Friday for continuing to hold an American pastor in custody. The resultant economic shock-wave has seen the lira drop to a new lifetime low of 7.20 TRY against the U.S. dollar today, after already having dropped 27 percent last week. On a year-to-date basis, the lira is down more than 80 percent against the greenback. The crash in the lira looks very likely to be increasing bitcoin’s proposition as a safe-haven asset in Turkey, and the price of the cryptocurrency shot up to 47,192 TRY earlier today – the highest level since January 21, according to Bitfinex data. At press time, the figure had dropped slightly to around 44,000 TRY. 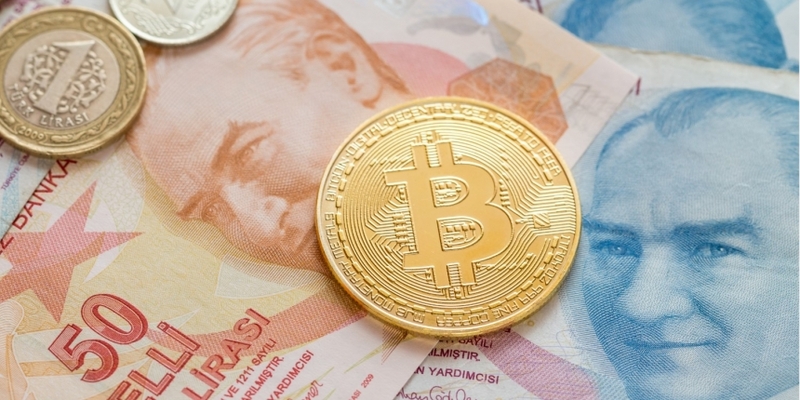 So what’s behind the sudden appeal of bitcoin for Turkish investors? The sharp slide in the lira has already pushed up inflation, which, along with a slump in spending power for TRY holders, has certainly boosted bitcoin’s appeal as a store of value. The increased interest is evident from the fact that Turkish cryptocurrency exchanges Paribu, Btcturk, and Koinim have witnessed a spike in trading volumes since Friday. As of writing, Paribu is reporting a 100 percent rise in trading volumes for the BTC/TRY trading pair. Looking forward, BTC could well rise further against the lira, as Turkey’s President Erdogan continues to oppose interest rate hikes to stabilize the currency and, rather than backing down, has referred to the President Trump’s decision to impose sanctions on Turkish steel and aluminum as an “attack“ on its economy.